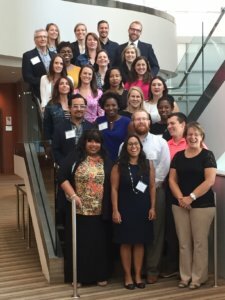 Congratulations to the 2017 Arts & Science Council Cultural Leadership Training Grads, including Barringer’s own, Dylan Brown & Michelle Stowers! After various essays and interviews, both were selected as participants in the Arts & Science Council (ASC) Cultural Leadership Training program for 2016-2017. This is a big honor and testament to their passion for our community. Great job!